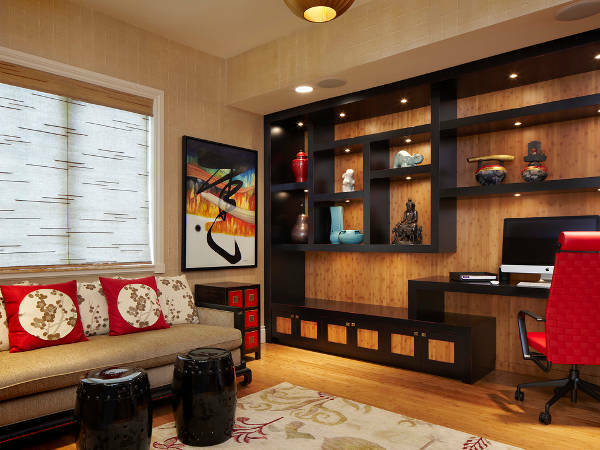 When it comes to home office design, you should not restrict yourself to the interior theme of the rest of the house. Be a little playful by bringing in some colors by using decorative accents. Do not forget that it is important to maintain some professionalism into the design, so genuine office furniture should be used. 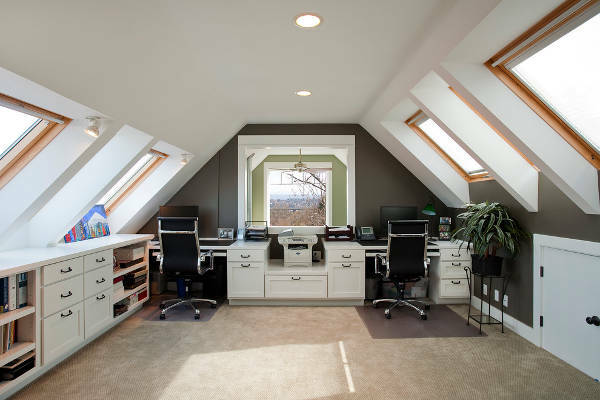 For a small office, an open space design is an ideal choice. By avoiding divisions to create rooms, you make the office look spacious. This means, staying away from cubicles and focus on open layouts where workers can easily communicate and collaborate without getting the suffocating feeling of working in a crowded space. The modern office is one that foregoes the traditional white walls, cubicles and fluorescent lights. It is more focused on providing a spacious (open layout) and comfortable (use of couches and automans) work environment for the employees. The idea is to encourage camaraderie and productivity. With an open office design is it easier for the employees to communicate with each other and their superiors. This type of office design promotes good working relationships. The most common setups are the lounge or dining space design. 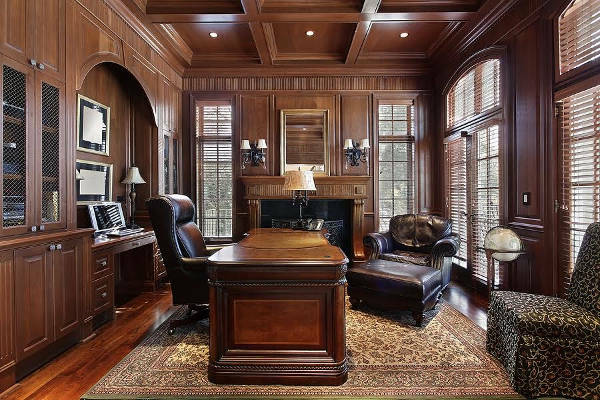 To come up with an effective executive office design it is important to remember that tradition should be followed. So, the right executive desk paired with a traditional high-backed chair should be used. There should also be a small reception space inside the executive office. Law offices follow tradition. They do not go much for the modern or eclectic designs. This means that each lawyer still gets his/her own office – and usually his/her own secretary too. When you go contemporary, you go for what’s new and trending. In office design, this means using contemporary furnishings in a contemporary setting. 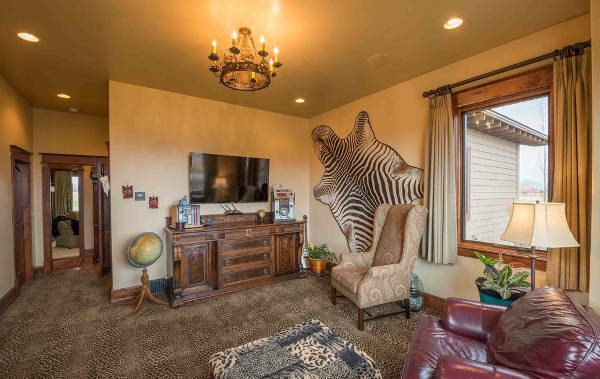 Being creative is good for this design trend because it allows you to make use of unique decorative yet functional pieces. A medical office requires a desk and chair set for the doctor and another set of chairs for the patients. To be able to properly examine the patients, a bed is an essential piece of furniture too. A medical reception space is usually designed with a long and tall reception desk, couches and coffee table. An office can be found anywhere, even in a basement. For this type of design, lighting is important. The idea is to create a well-lighted space that would erase all the traces of the cold and dark basement feel. An open space layout also helps in promoting a spacious and less crowded suffocating feeling for a basement office. A corporate office needs to be designed carefully. It usually has all the necessary rooms or spaces. It has a reception area that should have a welcoming feel, so comfortable seating features should be included. It also has the workers’ area, executive offices, lounge/break room and conference room. This means that several pieces of furniture are going to be needed. Add the fact that it should look professional, yet enticing. 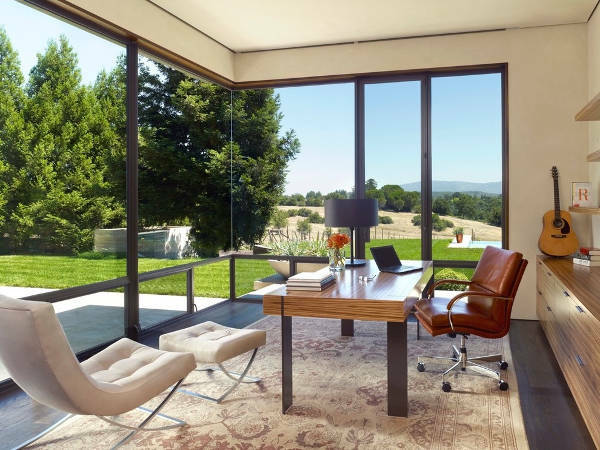 To create a Zen office, your design should be based on three main Zen principles – simplicity, enclosure and completeness. Simplicity means minimalism. The enclosure does not necessarily mean individual offices, a few movable walls or dividers will do. For the completeness principle, an open layout that shows everyone, where everything should be taken into consideration. An office with a luxurious design is one that is created with extravagance. This means having a sky’s the limit budget – from the plan to color theme to the furniture and to the accents. Sticking to traditions means having rooms or individual spaces within an office space. This allows for more privacy between co-workers, which was the common practice during the olden days. Secretary desks are usually laid out outside the big bosses’ offices, while the regular workers are separated by built-in dividers/cubicles. When you design an office, it is important to consider what kind of product or service the company is offering. If it is a law office, the design should lean more towards the traditional style. If the office is for a call-center agency, the open layout system is the best option. 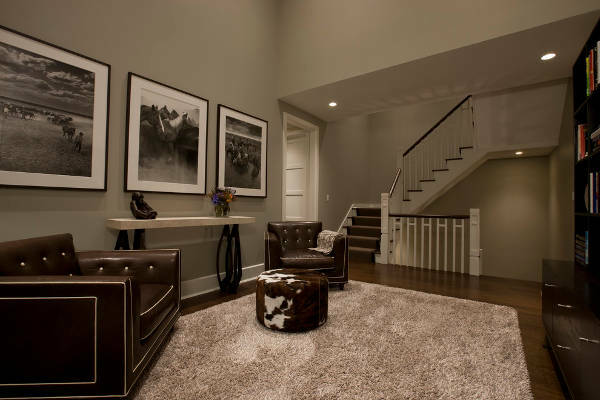 It is also important to consider the features to be used – like lighting, flooring, wall and ceiling and the accents. The concepts that are mostly used today are modern or contemporary, functional, rustic, urban and Zen. 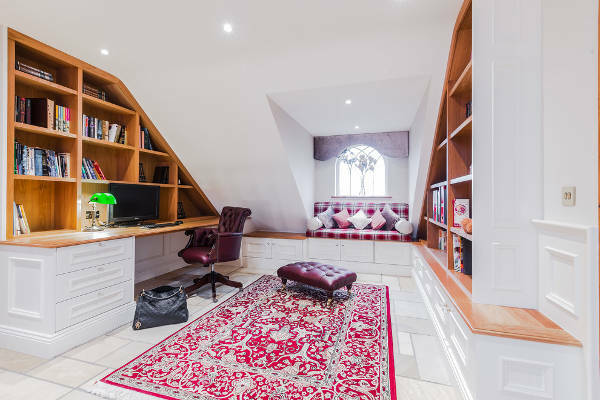 Home office designs are becoming trendy too due to the increasing number of people opting to work at home. When it comes to designing an office, there are several factors that should be put into consideration. It is just like designing a home, but with the focus on providing space and comfort for the workers instead of the family members. Thus, the right furniture pieces should be chosen. 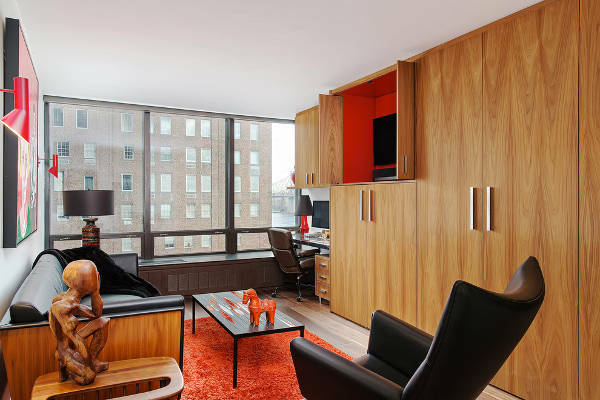 The idea is to opt for attractive, yet very functional furnishings, features and layout.